I was teaching punch defenses in a Krav Maga class recently, when a guest, who trains in Muay Thai, asked why we don’t simply “cover” or “shell up” against punches. It was an excellent question. Krav Maga prefers to intercept and redirect straight punches a short distance away from our face, and to block hook punches with an extended defense that is farther from the head. While these are not radically different from defenses you might see in sport fighting, we emphasize these extended defenses more than a sport fighting coach might. We do also teach students to shell up and cover (by which I mean shielding the face or side of the head with our arms pressed close to the skull), but we rarely introduce covering defenses as our primary technique. Are we right about this? After all, the covering defenses have serious advantages: they are simple, and the attacker might damage his knuckles on your forearms. Also, there is a downside to teaching the extended defenses — I see many beginning students who fall “behind the curve” of the attacker’s combinations, and expose themselves trying to catch up while doing extended defenses. So why not simply teach covering defenses and be done with it? The reason: edged weapons. One of Krav Maga’s concepts is that punch defenses and knife defenses must be similar, because you probably will not see a knife and you’re likely to treat the movement like a punch. If you use a covering defense, you will get stabbed (although possibly in a less vital part of your body). Why this emphasis on knife defenses? One of the influential eras of Krav Maga’s history was the First Intifada (1987-1991), when knife attacks in Israel were quite common. I had the honor of meeting and talking with Sheike Barak, one of founder Imi Lichtenfeld’s lesser known but highly respected students. A retired Lt. Colonel in the IDF, he told me about the Krav Maga organization’s efforts to develop techniques that worked for different types of civilians, including children, during knife attacks prevalent at that time. 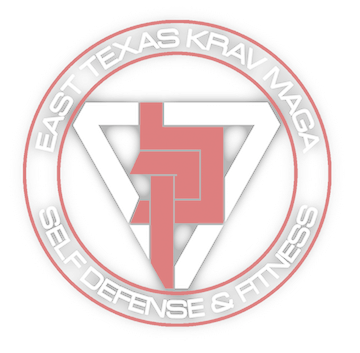 Given this history, it’s easy to see why Krav Maga places such a premium on defenses that work against both punches and knife attacks. But is the emphasis still appropriate? I teach students in west Los Angeles in 2018, not the West Bank in 1987. Is it so likely that my students will be attacked with a knife that I should emphasize knife defenses rather than a much simpler covering defense? My own conclusion has been to continue teaching the “extended” defenses as Krav Maga’s primary techniques against punches, especially in surprise situations. I rate the risk of taking a stab higher, even if stabs are less common than punches. At the same time, we are dedicating additional time to teaching students to use covering defenses when necessary. But for initial reactions, especially in surprise situations, we still teach the extended defense. Maybe it’s my inherited bias as a Krav Maga instructor, but I think the consequences of failing against a knife are worth worrying about first.